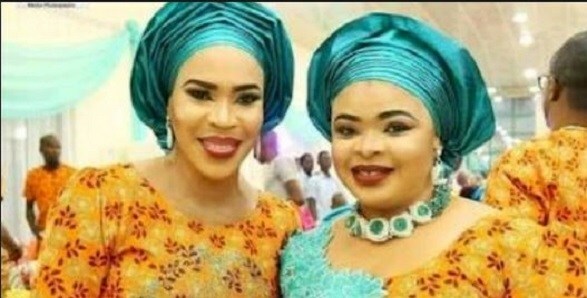 Fathia Balogun & Dayo Amusa had always been good friends and generated envy among fellow actresses. They were always at outings together, an item wherever they went. 49-year-old Faithia has always been friends with younger people in the industry. Dayo Amusa, who would always flaunt Faithia’s kids on her page, calls her Adunni, while Fathia calls her Aduke. Surprisingly, things must have fallen apart between these two friends who have a large fan base. Recently, Faithia put up a post on friendship and why people should avoid fake friends. “No matter what you do, people will not be satisfied, the ones you call your friends are the ones who will laugh behind your back and stab you. “Be careful of this kind of friends,” she inserted an inscription on her IG handle. “Friendship is beautiful but when it is not getting the right things done neither is it moving you forward it’s time to check things out. This triggered reactions from their fans who took over the comment section. While some supported Dayo, many condemned her action citing example of her post recently when Wunmi Toriola, a Nollywood actress, lambasted Toyin Abraham. Dayo, then, had written on the insubordination in the industry and why upcoming artistes should be placed on check. Sources close to the actresses (Faithia and Dayo)revealed that there is a misunderstanding on their personal relationships with some certain men. “They are women and they all roll together in the social circles. Though none has talked about it to colleagues, its obvious it has to do with intimate relationship they are having with men. Very soon, everything will be unveiled,” the source said.